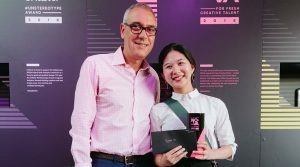 One of the standout pieces of work that was shortlisted for last year’s MullenLowe NOVA Awards was from Sasha Bruml, a BA Product Design student. 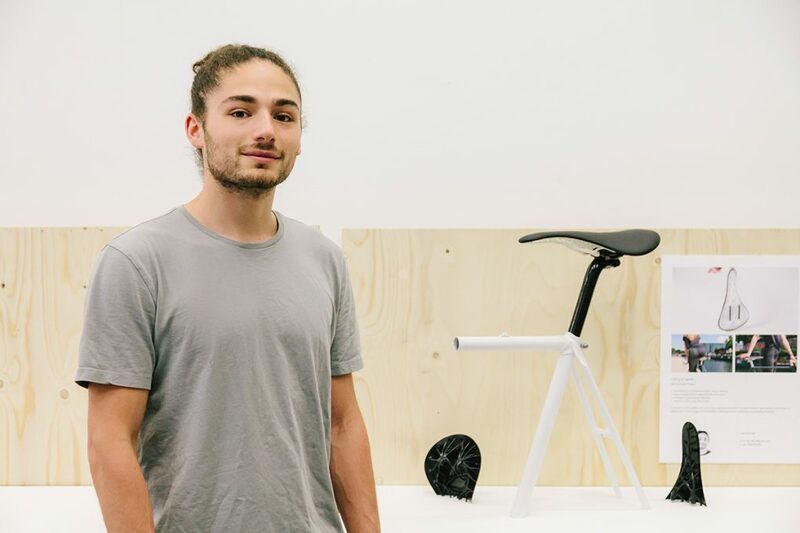 His project, LifeCycle, was a bike saddle with distinctive individual benefits in terms of comfort, performance and status, uniquely engineered to fit a cyclists optimal comfort. 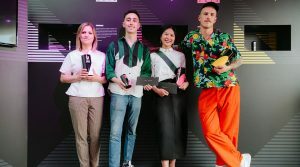 It was a true celebration of technology and information, challenging the traditional and pushing innovation, which is why Sasha was awarded the MullenLowe ‘YourNOVA’ Award in 2017. With the 2018 MullenLowe NOVA Awards just around the corner, we caught up with Sasha to see what he’s been up to since receiving the ‘People’s Choice’ award at the ceremony last year. 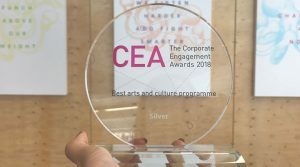 What has been happening since winning the MullenLowe NOVA award? 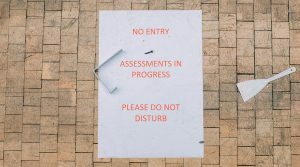 Any exhibitions, collaborations or new career plans? Since graduating I’ve worked to expand 3D People, the 3D printing business I started with Felix Manley, a fellow Central Saint Martins grad. We moved to a studio in Hatton Garden in January, and have just hired our first full time employee, which has allowed me to spend more time to work on building the design side of the business. Alongside providing a 3D printing service, we offer design consultancy for digitally manufactured products. My ambitions are to provide an integrated digital design and manufacturing service. When this is possible I hope to be able to mass produce bespoke products for a global market, locally and sustainably. I was recently invited to talk about this vision as an inspirational speaker at a lecture series for a major innovation company. How has winning help further your work? The NOVA Award has given a further level of credibility to my design concept that is still at a primitive stage. Winning the public vote has been a confidence boost and serves as a reminder of real world interest in my project. Have you done anything exciting with the prize money yet? I went to Korea and Japan right after the awards, so a fair amount went on chimaek and sushi (laughs), but the rest as gone towards new 3D printing machines for 3D People. I plan to continue growing 3D People as a service bureau and design consultancy. Digital manufacture is an amazing tool that I intend to use to create products like my NOVA Award project. This time next year I hope to exhibit a fully functional prototype of my bike saddle, designed and manufactured in-house at 3D People.